User Disclaimer Notification – Welcome! How can we help? In some cases, solutions need a disclaimer that external users need to consent to before they are granted access to the data they are trying to access. In some cases, companies might want these kinds of disclaimers to be consented to on each visit. In other cases, consenting just once is enough. Regardless, WorkPoint can now restrict access to entity sites until the users have consented to a disclaimer, which is presented to them when attempting to enter such rooms. The consent that any given user gives to the disclaimer presented to them is logged. This makes it easy to see who have given consent and when, if needed. A case where this feature is useful is if a company works frequently with documents which contain sensible data and/or otherwise data that under no circumstances can be shared with unauthorized people. They also often collaborate with external partners, and they therefore use this feature to present external partners with a disclaimer which lets the partners know that they must under no circumstances share documents with anyone outside the company. The consent that the partner gives is logged, so that relevant administrators can see if consent has been given, should any disputes rise. This is an additional feature. 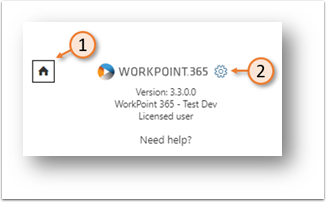 If you want this feature for your solution, please contact WorkPoint Sales by email at sales@workpoint.dk for more information. Note that this feature is only available for solutions using the Modern UI, and only for the browser version of WorkPoint. The interface of the Disclaimer Consent Settings interface provides all the options one needs in order to set up what the users should be presented with upon visit. Depending on what you choose as “Type”, different options are available from there on. Select a person or a group that should be presented with the disclaimer, and whom also needs to consent before access is granted. From the Acceptance Type menu, you can choose whether the target audience needs to consent to the agreement just once, or once per session. Entity List grant you the ability to select a document from the entity site based on field values. The system goes to the specified Library (5), you choose a field for the system to look for (6) and type in a value (7). 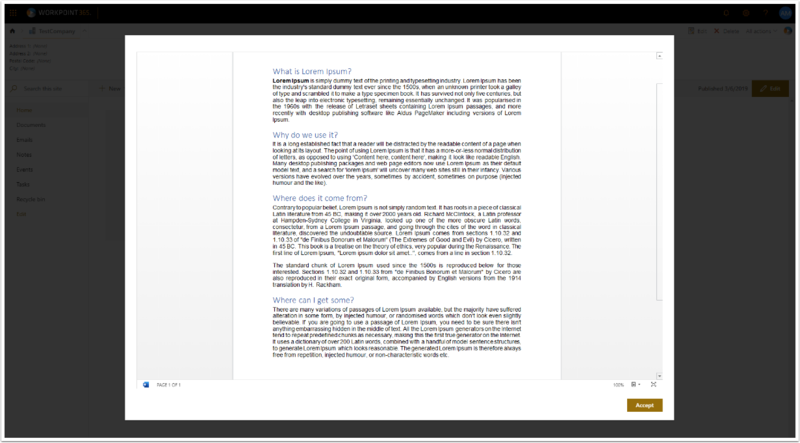 If the system finds a document under a field which matches the value specified, that document will be displayed as the disclaimer document. If you choose a type of Calm Query the administrator can input a query to be executed to fetch the document from a specified library. If “Absolute URL” is chosen, the administrator can insert a full URL to the document that he wishes should be displayed as the consent document. Further, the administrator needs to input the full URL to the site that holds the document. Clicking “Save” will finalize the setup, and the specified user(s) will now be presented with the specified consent document which will need to be consented to before they are granted access to the site. Please note that if the end users use any other clients that accesses data from SharePoint using API’s, they will not be blocked. The disclaimer is not adding any changes/extra layers to the security model of SharePoint. 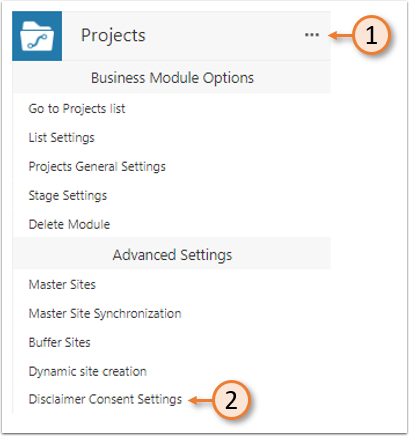 If the users are passing direct links to document or is using the sharing feature of SharePoint this feature will also be bypassed.